Bed & Breakfast Accommodation in guest houses and farm houses set in the beautiful countryside of Dartmoor. 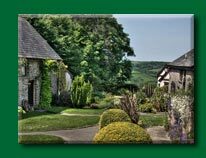 Dartmoor guest houses, bed and breakfast,B&B, along with other information about the national park. Lovaton Farm -Working farm, situated on the northern fringe of Dartmoor. B&B Children, dogs and horses are all welcome.